Inauguration on 10th Feb. 2017 at 5.00pm. Where: Artizen Art Gallery,PeareyLalBhawan, ITO (Near ITO Metro Station),New Delhi. 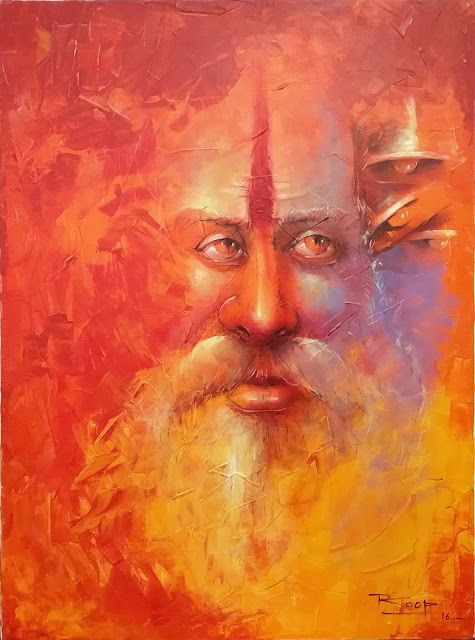 ShambhuNathGoswami:-Born in Varanasi, Graduated in Fine Arts from B H U, ShambhuNathGoswami works predominantly in the medium of painting and graphics. Hisy works have been considered to be full of emotions . Inspired by a world without rules, I uses a narrative style in my expression where visual and textual allusions suggest the passionate message behind a seemingly simple scene. He combines color and texture to represent a liberating moment in time. He regularly creates privately commissioned color-inspired, eclastic, upbeat paintings. He says, "Black Chair and the time of early dawn allows him the unique opportunity to be creative everyday”. 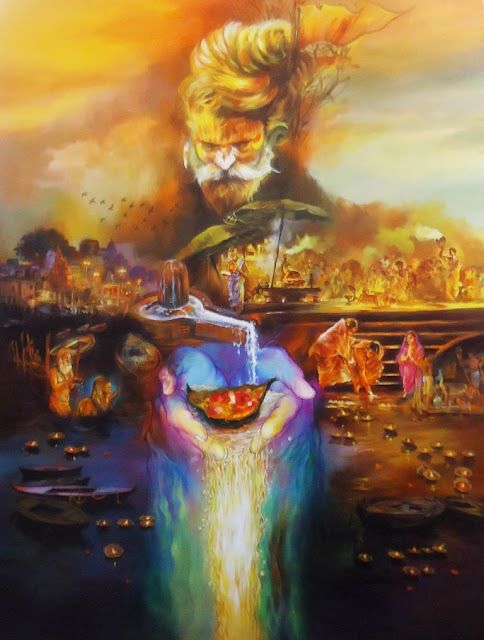 Deepak NagJiMer:Born in Varanasi, Graduated in Fine Arts from B H U ,Varanasi and Mumbai based artist Deepak NagjiMer was always attracted to Holy City, a place he visits from time to time to evolve. 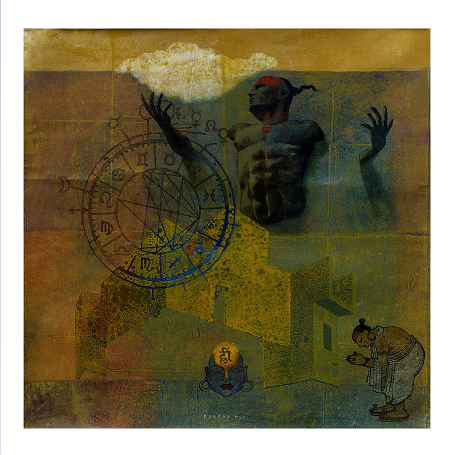 His works are Eccentric, irregular, peculiar, evocative and definitely interesting are some attributes that can be used to express the eclectic collection.. The unsaid finds expression on his canvas, a voyage into the deep and endless emotional and curious intricacies within the human heart. VijaylaxmiD Mer:- Moments are like butterflies fluttering incessantly in and out of time zones, evasive but beckoning. 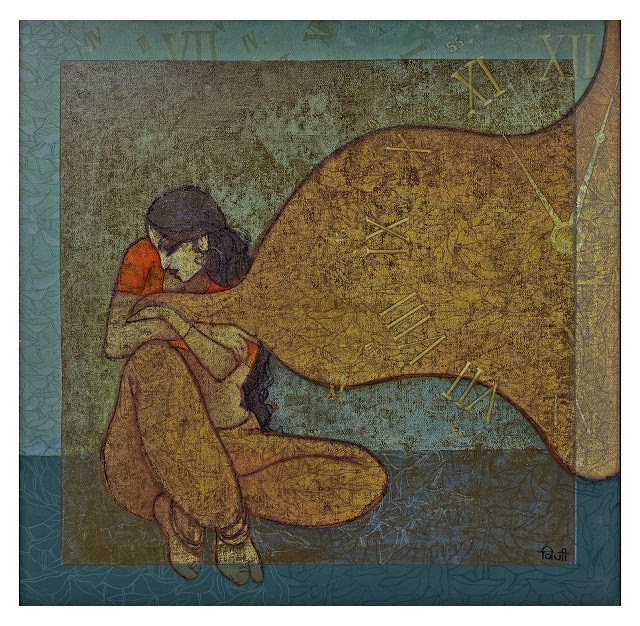 Togetherness with one’s self and with others in its various fleeting forms be it the playful exchange of gossip between friends or the solitary musings of a damsel absent-mindedly playing with her hair depict some of the endeavors made by artist Vijay Laxmi D Mer. Her canvas is an attempt to capture the very ‘butterflyesque’, light and fleeting quality of everyday life. KalyaniSahoo:- Born in the year of 1968 in a very small village in Odisha. KalyaniSahoo chose a simple medium of pencil and eraser yet making masterpieces. 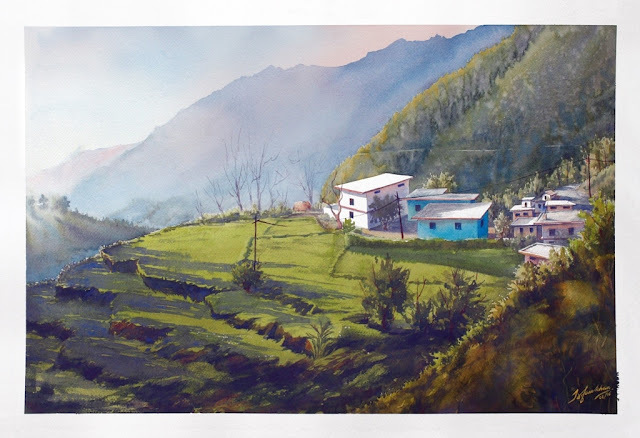 She is trained under the guidance of the eminent artist Guru RaghunathSahoo. She now mainly works in the medium of acrylic on canvas, she says - "Art is my passion and I will try to put in all the sceneries that I have seen so far, in every painting of mine". SantanuMaity:- He aspire to experience the process of transition and transformation of an Artist - Like a cocoon to a beautiful butterfly. He doesn’t restrict himself to one particular theme, medium or technique; his pencil & brush are passionately keen to draw absolutely anything under the sun whether it’s spiritual, abstract, figurative, Nature, or even simple daily objects. PrakashBetawar:-ParkashBetawar’s creations are honestly rooted with his creative imagination. An exponent of heart’s earnest desires PakashBetawar has learnt the art of leaving you awe struck in his childhood. His idea of articulation the moods & experiences of our cultural heritage, has even made its way to find a place for itself in Guinness Book of World Records. That was probably the first exemplar of his passion for creativity. 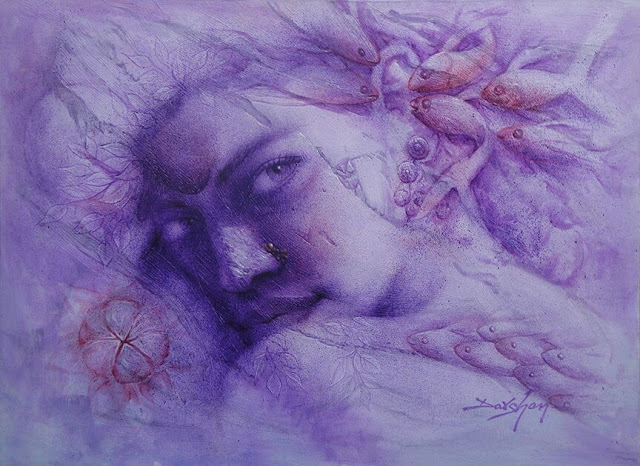 JagannathBasu:- Born in Bengal JagannathBasu is a self taught artist. He paints mostly figurative subjects, gestures blended with feelings, emotions and the closeness and beauty of man woman togetherness. And he also experiment with some landscapes, and absolutely abstract expressions. 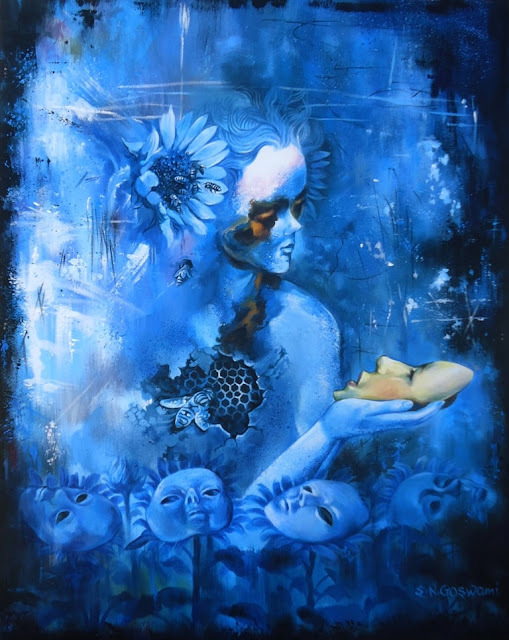 SharadAmbulkar:-Life has resonance within our innermost being, knowing the intense rapture of life.His paintings ‘Fishes’ breaths life, spreads energy. These fishes symbolize the passion for loving, struggle for living and spirit of freedom. Along with these fishes, his developed textures illuminate the space with the depth of emotions and feeling of romance. 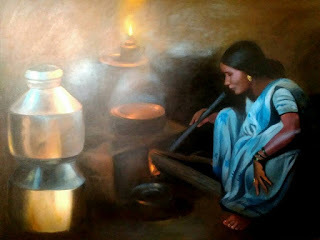 BhartiSaxena:- Born on July 28, 1980 in a district named Etawah, BhartiSaxena developed herwork with oil colours. Major part of with her work becoming more dreamlike in nature, but she later 2011 split her work in various dance of the world as well as she became focused on new ways to express the human form. 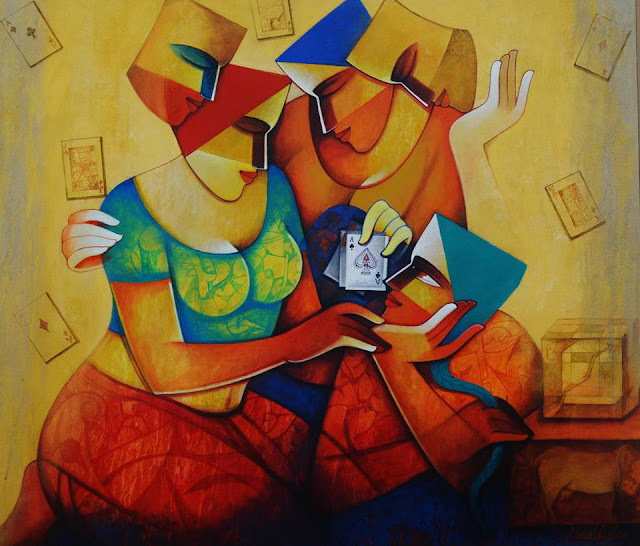 Tushar Das:- Born in 1975 Kolkata Tushar Das’s work mostly reflects current scenario and it’s trail over us. After exploring various form of medium to express his vision and feelings over past 15 years, currently he is pursuing a series on figurative study. Naval Kishore:- He is presently working on “Life Series”. It portrays various aspects of human life, its living, thinking surviving, making progress, planning for their goals in life. Each painting has a very personal, spiritual experience for the viewer, which he hopes will lead to our universal understanding of human nature. 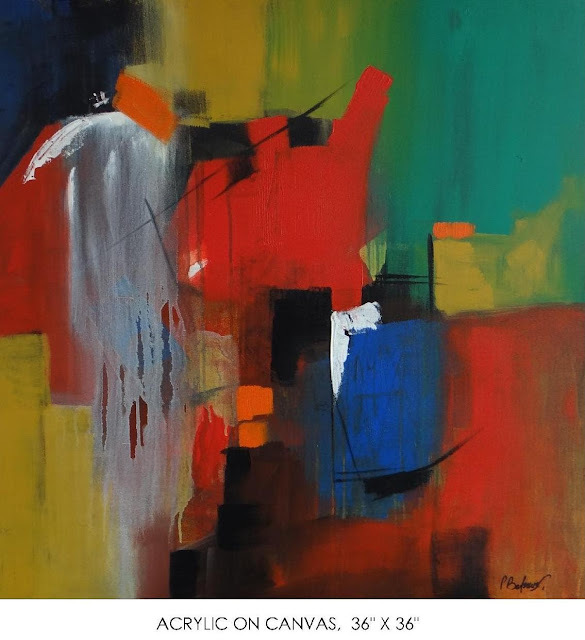 Elegancy of Colors is the brain child of Shambhu Nath Goswami, an eminent Indian artist. This Art Firm attempts to portray some of the extraordinary talents of India just under one roof. For the very first time in Elegancy Of Colors, a collaborative platform for artists to showcase their talents through the new event programme "UNISON", is being announced. 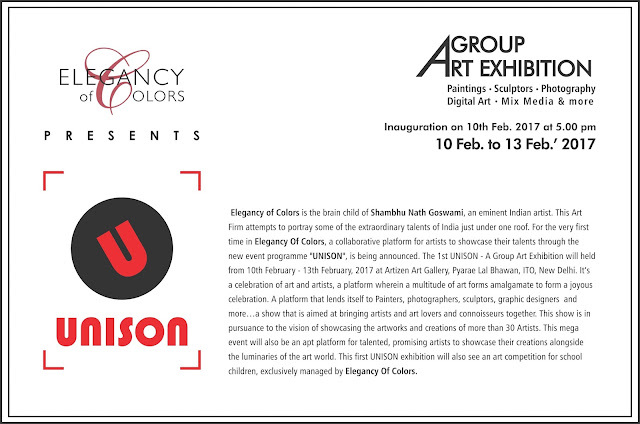 The 1st UNISON - A Group Art Exhibition will held from 10th February - 13th February, 2017 at Artizen Art Gallery, Pyarae Lal Bhawan, ITO, New Delhi. It’s a celebration of art and artists, a platform wherein a multitude of art forms amalgamate to form a joyous celebration. A platform that lends itself to Painters, photographers, sculptors, graphic designers and more…a show that is aimed at bringing artists and art lovers and connoisseurs together. This show is in pursuance to the vision of showcasing the artworks and creations of more than 30 Artists. This mega event will also be an apt platform for talented, promising artists to showcase their creations alongside the luminaries of the art world. 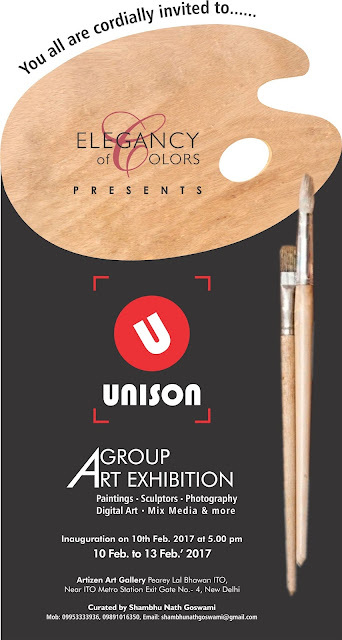 This first UNISON exhibition will also see an art competition for school children, exclusively managed by Elegancy Of Colors.